Dean Meredith and his wife Carol have bought their fourth investment property; a stylish two-bedroom apartment at Viridium by Hodson Developments in Camberley. Since purchasing their first property nearly ten years ago, the couple still believe that investing in property is the best way to plan for their children’s future and are even considering their next buy to let. 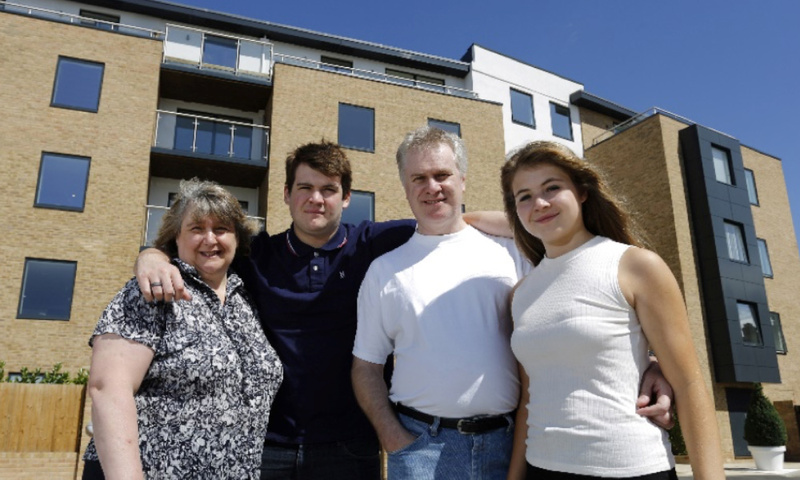 Watching their properties increase in value over the years and receiving a decent monthly income from rent, Dean and Carol were confident that the way to secure a comfortable retirement and ensure a good start for their children was to again invest in bricks and mortar. They are currently generating a rental yield of over 5% at Viridium and would consider buying a second property there. Proving to be an appealing choice for investors and potential tenants, the town centre apartments at Viridium are finished to a very high standard. The development is already attracting investors like Dean and Carol looking for a hassle-free investment with a good rental yield. For further details or to book an appointment at Viridium, call the onsite sales team on 01276 66693. Find out more information about Buy to Let here.